Epicor has been keeping apprised of a vulnerability in the SSL 2.0 protocol, CVE-2016-0800, also known as DROWN, which stands for Decrypting RSA using Obsolete andWeakened eNcryption and is a Man-in-the-Middle (MITM) attack against servers running TLS for secure communications. The issue is actually quite tricky to exploit by itself, but made easier on servers that are not up to date with some previous year-old OpenSSL security updates. Red Hat has a vulnerability article in the Customer Portal which explains the technical attack and the dependencies in more detail. Red Hat recommends that customers immediately apply available updates to remediate the issue. Rebooting the system after updating is the safest way to ensure all affected services use the updated ssl library. Microsoft IIS versions 7.0 and above should have SSLv2 disabled by default. 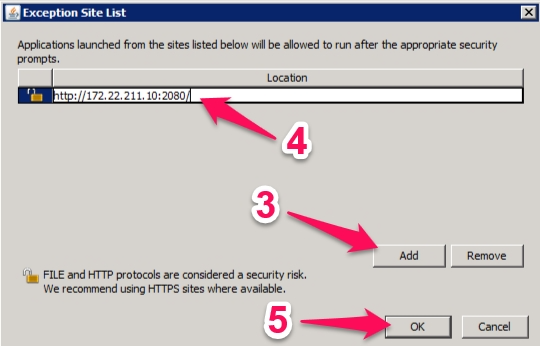 If you are running an older version of IIS, you will need to disable insecure protocols following these instructions from Microsoft. Q. How can I check whether or not my Linux server is vulnerable? WARNING: The installed version of openssl (openssl-1.0.1e-16.el6_5.14) is vulnerable to both general and special DROWN attack and should be upgraded! See https://access.redhat.com/security/vulnerabilities/drown for more information. The installed version of openssl-libs (package openssl-libs is not installed) is not vulnerable to DROWN. Q. How can I check whether my external web server (e.g. WOE, mobile) is vulnerable? Dell discontinued support for RHEL 5 in the latest version of their yum repo, which is enabled by default, but they keep the old copies online. You may now re-run yum. When launching Solar, you receive an “Application Blocked by Security Settings” error message. In the “Java Control Panel” window that appears, select the “Security” tab. Enter the Eclipse server’s web start address, including port (e.g. http://172.22.211.10:2080/). Confirm by clicking “OK” once again. Finally, click the “OK” button to exit the “Java Control Panel”. Q: Why did this error appear suddenly? 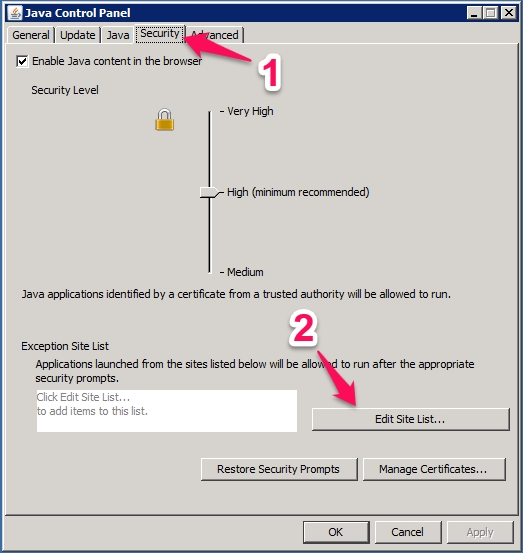 A: The certificate that was previously used to sign the Solar code expired on 10/26/15, so if you are using an older version of Solar that was signed by the expired certificate, Java’s default security settings will now block it from running. Q: Is there a way to add an exception to the site list without using the GUI (i.e. for automating the changes across many computers)? A: Yes, you may add the same entry to the text file located at %APPDATA%\..\LocalLow\Sun\Java\Deployment\security\exception.sites. For more information, see Java’s documentation. For information on deploying these changes via group policy, see this article for an example. On servers with more than 2 CPU cores, Formscape may fail to license and start properly until you restrict the service process to run on 2 or fewer CPUs. Click on the Start button and then on the OK button.